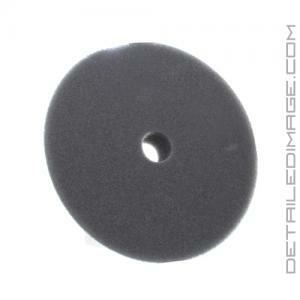 High quality Foam Pad to remove medium imperfections and leave behind an amazing finish! The Rupes UHS Foam Pads are part of the Rupes UHS Easy Gloss System, which allows you to remove light to medium imperfections (swirls, oxidation, watermarks, etc. ), while finishing the paint down all in one easy step! 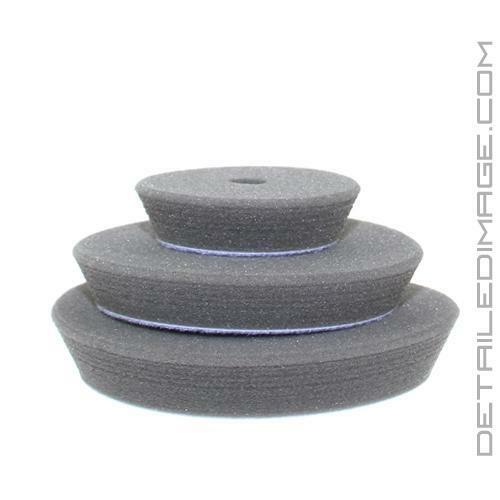 The unique foam used in these pads combine the cutting ability of a cutting pad with the finishing ability of a finishing pad. When paired with the UHS Easy Gloss Polish, you will notice less haze left behind, long working time of the Easy Gloss and this polish will wipe off very easily, cutting down on polishing steps and valuable time when detailing! Pair this fantastic polish/pad combo with the Rupes Big Foot Random Orbital Polishers to receive high levels of cut, especially on those harder paints, but still deliver a great deal of gloss and a swirl-free finish. When using all three of these Rupes products together you will truly be amazed at how great your paint looks in the little amount of time it takes when polishing. If you are looking for a great foam pad to pair with your one step polish, the Rupes UHS Foam Polishing Pads are a great choice! Please note that these pads are beveled, which means the backing is a different size than the face of the pad.